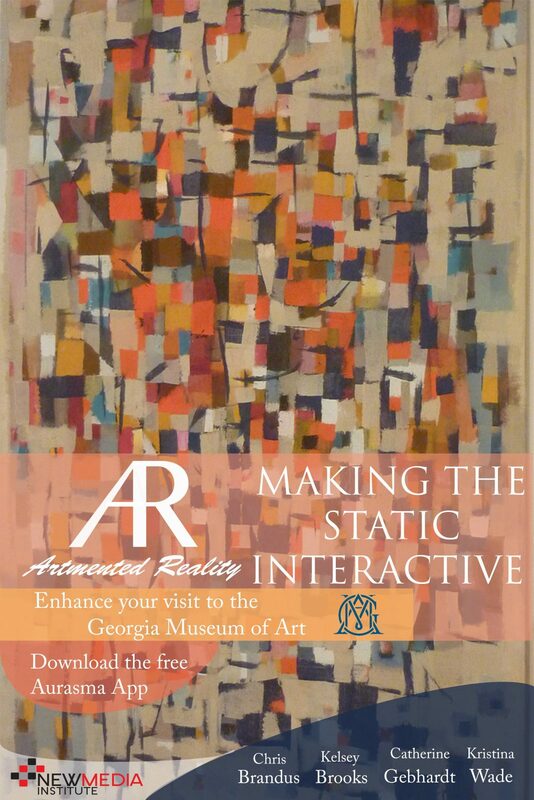 Artmented Reality features an innovative way to showcase the Georgia Museum of Art by involving visitors in a new and innovative way — an augmented reality tour. New and old visitors alike can enhance their museum experience by using technology to see and learn about the artwork in an all new way. For the project, five pieces of artwork from the museum’s permanent collection were selected. Each of the chosen pieces has a fascinating background story that visitors would not learn walking around the gallery on their own. The project uses Aurasma technology to overlay trigger images and video to augment the museum experience. Each of the embedded videos and links provides additional information about the artwork and allow visitors of all ages to engage with the material. Aurasma is the world’s leading augmented reality platform available as a free app for iPhones, iPads, and Android devices. The technology uses advanced image and pattern recognition to blur the lines between what is real what is augmented to create interactive content. The recognition technology uses the devices camera to recognize stored images and then overlays multimedia on top. The Georgia Museum of Art was founded in 1945 by Alfred Heber Holbrook and has long since offered its audience a world-class art experience. GMoA is both an academic museum and the official art museum of the state of Georgia. In 1996 the museum moved to the University of Georgia’s east campus at the Performing and Visual Arts Complex. Most recently, the museum was expanded in 2011 to allow for the continual display of works from the permanent collection, many of which were part of Alfred Holbrook’s original gift. To this day, the museum strives to fulfill Holbrook’s legacy by focussing on the pillars of teaching, research, and service and to provide art for everyone.